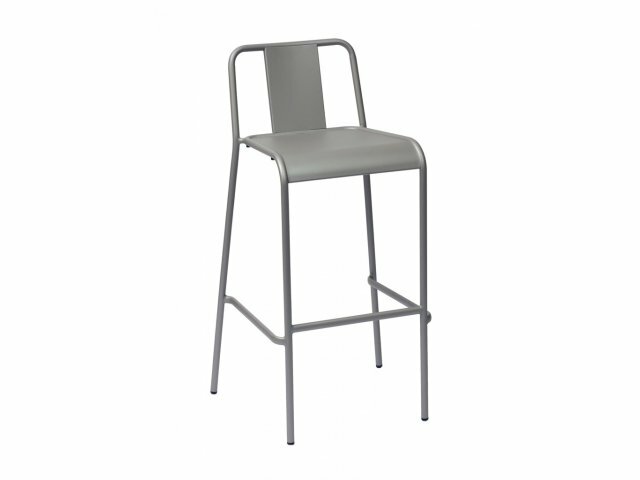 This Tara X Bar stool has an attractive powder-coated finish and can be used both indoors and outdoors. 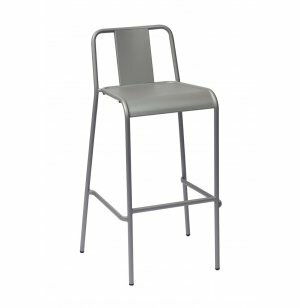 The Tara Steel Bar Stools will update your space with some classy modern style. A sleek all-metal design complements many different color schemes and themes. Smooth contours have a contemporary appeal that will look great in any area. Counter stools are a great choice if you want to make your eating space more intimate and appealing. Comfort and convenience are key when it comes to choosing seating for your school or business. A waterfall seat edge and footrest bar facilitate healthy positioning on these bar stools. The stackable design makes cleaning floors and rearranging your space simple. This counter stool will make an excellent addition to any cafeteria, library or lobby. Great Outdoors: Appropriate for both indoor and outdoor use. Sturdy Material: Built from durable powder-coated tubular steel in a sleek titanium silver finish.